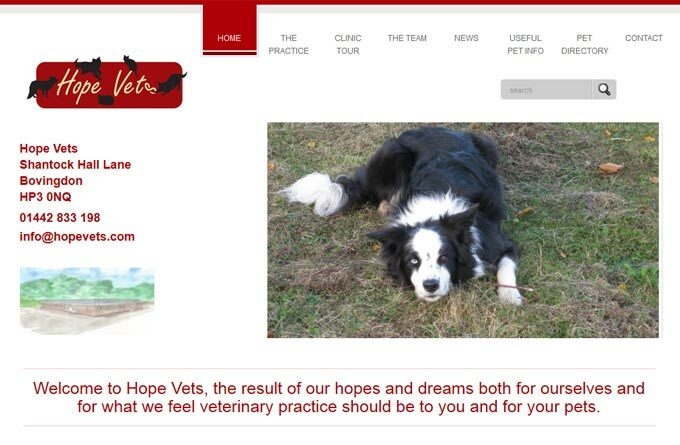 Hope Vets are located in Bovingdon, Hertfordshire and is an approved member of the Royal College of Veterinary Surgeons Practice Standards Scheme. To be an accredited practice, we have to pass inspections carried out by an experienced veterinary surgeon focusing on a range of areas, including hygiene, health and safety, clinical governance and the facilities we provide, to name just a few of the many criteria. Whatever your problem, big or small, book an appointment to see us. Not only do we have expertise in the diagnosis and treatment of disease, but we can also advise you on all aspects of health and preventative medicine for your pet. We also run special clinics for your puppies and kittens, new pets and elderly pets to ensure any problems are prevented or dealt with quickly.